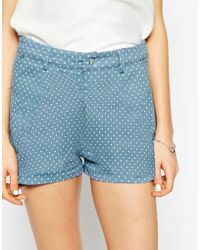 Sugarhill shorts offer style that radiates easy-going, vintage elegance. Launching in 2010, the brand is renowned for reworking classical and feminine silhouettes with lots of fashion-forward detailing, resulting in an aesthetic that is utterly individual. 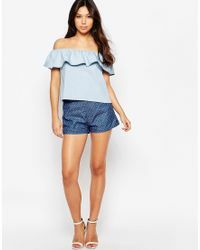 Think wide, flippy culottes, lacy shorts, high-waist scalloped styles and lots of polka dots and prints, ensuring a look that is both flattering and womanly. For style that is as individual as the woman who wears it, look to Sugarhill shorts for a fashion fix with charisma, sentiment and staying power.